Romislokus - "Vinyl Spring, Digital Autumn"
Romislokus is a Russian band containing a core of 3 members and joined by 5 others. The band plays a semi-electronic New Age melodic rock music sung in Russian. Occassionally, there were some very interesting musical passages but overall, there was nothing that really grabbed me or kept my attention. This was just not for me. 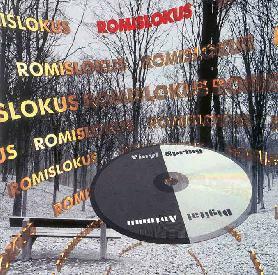 CLICK HERE for a contrasting opinion of the first Romislokus CD in AI #18. For more information you can visit the Romislokus web site at: http://romislokus.com.